Home » Science/Tech » Scott Thompson, Former Yahoo CEO Suffering From Thyroid Cancer? Scott Thompson, Former Yahoo CEO Suffering From Thyroid Cancer? Former Yahoo CEO Scott Thompson who was kicked out of Yahoo for lying in his resume is reportedly suffering from thyroid cancer. The Wall Street Journal has broken the news that 54-year-old Scott Thompson has been diagnosed with thyroid cancer and he reportedly told about this to his colleagues before handing over his resignation. Scott Thompson came under intense scrutinization after it was discovered that he had lied in his resume about his degree. He had mentioned that he had a degree in Computer Science when in reality he did not. 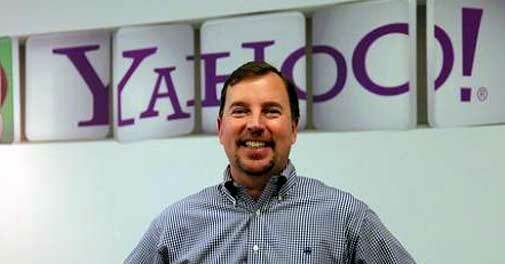 Thompson was named Yahoo’s chief in January after the board ousted CEO Carol Bartz. With his departure, Ross Levinsohn has been appointed the company’s interim CEO, AllThingsD reported, and Fred Amoroso will take over as board chairman, replacing Roy Bostock. Women Missing for 41 Years Found? Nissan to Recall 14,000 Altimas! Previous: Apple’s Siri Says The Best Smartphone Ever is Nokia Lumia 900!